I’ve been asked this so many times that it made me wonder whether we should consider making it shorter. Why not make the Challenge feel more doable, completable, and easier for more people? But is that really the right question? If we’re after sustainable change in meaningful and profound ways, are easiness, accessibility, and shorter duration the things that will serve people in getting the result they want? It’s obvious that in the short term making something easier will mean better results. But is making something easier or shorter something that leads to lifelong change, mastering a skill, or becoming wise? Would making it easier or quicker to learn to juggle a soccer ball, do a back handspring, or master the art of hitting a baseball make them more meaningful or more “sticky”? To explore the answer to this question, I sat down and made a list of all the things that have meant the most to me in my life – and the length of time it took to achieve them. Becoming a United States Marine – 4 years of preparation, 1 year of school, 3 years of on-the-job training. Nothing on this list took less than two years. Nothing. And most took way longer. Many are lifelong pursuits, with no end in sight. So in looking at the Whole Life Challenge – is six weeks really that long? Would making it shorter or easier to finish make it better or more effective? Or are we so caught up in life at the speed of light that we want instant gratification and spontaneous perfection instead of gradual progress? On one hand, it’s important to make something easy and fun enough that you’re willing to get started. On the other, it’s got to be difficult, require struggle, and be a challenge to implement each day. Mihály Csíkszentmihályi, in his book Flow, says that for optimum engagement and growth a goal must be hard enough that it meets you at your current level, but challenging enough that it causes you to stretch, think, and struggle. That’s the juicy part – if something is too easy or too short, its lessons won’t stick. This is why I continue to participate in every Whole Life Challenge. On one hand, it’s easy for me to get started. On the other, I find there is always something I root out in my life that is worthy of my attention when I’m committed to holding myself to a higher standard. I find I make slow, consistent, gradual progress forward in every Challenge. So why is the Whole Life Challenge six weeks long? Below are our seven reasons. Each is important and compelling, and when considered together, you’ll see that six weeks is absolutely necessary for the Challenge to deliver on its mission – long-term, positive change to your daily habits, health, and life. Six weeks helps you find the joy in the journey, rather than in the destination. At thirty days, the destination is easy to see and the objective easy to meet. Any thirty-day challenge taps into short-term thinking. You can make it because the end is right around the corner. Conversely, six weeks start to feel like a long time. Quitting after three to four weeks becomes a real option when it looks like the light at the end of the tunnel is still far away. That struggle to stay in it, in spite of how far off the destination looks, is exactly the point. It’s long term thinking. It’s training for your life. Six weeks demands focus, dedication, and determination. Face it: anyone can do something for thirty days. It’s only a month. Think about how many times you’ve started something, totally gung-ho, then four weeks and one day later there’s no evidence of it ever having been a part of your life. Once you’ve started, the first two or three weeks are easy. But six weeks? That’s a test for anyone, and it helps you build your daily habit stamina. We say the Whole Life Challenge doesn’t really even begin until a few weeks in. Those first weeks are just warm-up. The Challenge is a challenge because it’s long. Six weeks teaches the importance of making small, sustainable changes to your daily habits instead of setting big, hairy audacious goals intended to change your life overnight. Do something extreme for thirty days and chances are good that you’ll survive. You’ll make it because it’s only thirty days. But chances are also good that you’ll go right back to your life the way it was. It’s the reason going on a “diet” is actually a predictor of weight gain instead of weight loss. But at six weeks, setting goals that are easier to accomplish and that you can successfully repeat each of the 42 days becomes necessary for success – and is a skill that transfers directly to life. Six weeks tests your willpower, resolve, and commitment to showing up. Think about your life. You do the same thing day after week after month after year. Boredom and apathy can easily sneak in, causing you to give up on many of the things that require your attention, effort, and diligence. Things that at one point or another were important to you. In the second half of the Challenge, weeks three to six, the same feelings of boredom and apathy regularly show up, but it’s designed for this to happen on purpose – to give you practice at sticking to your word, showing up in spite of not feeling like it, and following through – for your sake. Six weeks demonstrates the importance of the lesson of the Tortoise and the Hare. Fly out of the gate, go as hard as you can, overachieve for the first few weeks of the Challenge. It’s a great way to flame-out by week three. To win the race and make it through to the end requires patience, dedication, and a commitment to inching forward daily. Slow and steady wins the race. Six weeks weeds out the window-shoppers and passers-by. In the world of instant gratification, short attention spans, and smartphone apps, we’ve become a world of window-shoppers. We download a zillion apps (especially when they’re free) and try out anything we can for a few days, but most of us are poking around with no real commitment and have nothing to show for the time we’ve wasted. The people in the Whole Life Challenge are not window-shoppers, especially those who make it past week four. The strength, determination, and commitment of this global community is like the strong current in the belly of a deep river. It’s incredibly powerful, and as long as you stick with it, it will help pull you along. Six weeks is long enough to ensure you make mistakes. How effective would the Challenge be at training you for your life if it was so short that you could waltz through with no pitfalls, no misses, and no lapses in consciousness? It might feel good (ah, perfect score), but it certainly would not resemble real life. Six weeks presents you with many opportunities to live your life, lose points, choose fun over what is best for you in that moment, completely forget to score a day – and to recover the next day. The bottom line? If you’re looking for something that provides short-term success, instant gratification, a prize at the finish line, promised results, or simply another item on the list of things you’ve accomplished in your life, the Whole Life Challenge is not for you. 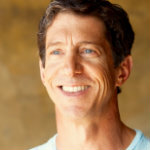 If you’re ready to shift your focus toward thinking long term, delaying gratification, testing your resolve, making progress versus being perfect, taking baby steps, setting process-based versus outcome-based goals, and being part of a global community committed to the same, then the Whole Life Challenge is for you, and might just feel like home.